Winter snow has finally give way to spring rains, and here in the New Jersey area, that means spring renovation and cleaning is underway in many households. In between the dusting, vacuuming and checking on various household appliances, take time to give your water heater a look. 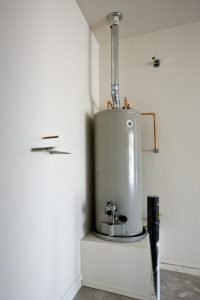 Water heaters do their jobs quietly and without fuss, and since they’re often located in out-of-the-way locations like the basement or garage. But that can make it very hard to notice signs of trouble, and by the time symptoms show up, it could very well be too late. Spring cleaning makes an excellent opportunity to give your water heater a close look and see if it needs some attention. BERGEN COUNTY PLUMBING Q/A: WHY DO I NEED WATER FILTRATION? Like most Bergen County homeowners, you’re probably asking yourself why you need water filtration – what exactly happens to your water that makes it necessary to install an entire new system in your home to keep it clean? There are a few things that might be an issue here and your specific circumstances will determine which affects you the most. This is only a partial list too – there are a number of other, more exotic substances that might be in your water. Now, this doesn’t mean your water suffers from all or even most of these problems. Many homes only have one or two contaminants and they may not be dangerous to your health. But, here’s the issue – and the number one reason that most homes should have a water filtration system. Things change. While your home may not suffer from virus or sulfate infiltration now, it could later. Things happen to the water supply – pipes get old, things get into the water tables and chemical levels change at treatment plants. The only way to combat these problems is to have a good water filtration system already in place. Specifically, a reverse osmosis system that can remove all of these contaminants through an advanced chemical process. To make sure you have the right system in place to tackle your water contamination problems, make sure you first a Bergen County plumber to perform full water testing on your home’s drinking water. Because some of these contaminants must be treated with chemical infusions through pumps or special cartridges, it is important to know in advance what you’re up against. For more information about having a water filtration system installed in your home, give BZ Dependable Plumbing & Heating a call today! Posted in Services | Comments Off on BERGEN COUNTY PLUMBING Q/A: WHY DO I NEED WATER FILTRATION? PROTECT YOUR HOME, JOIN THE DIAMOND CLUB! The BZ Dependable Diamond Club is a private membership service club that is limited to 22% of our clients. It isn’t available to everyone because we couldn’t possibly keep up with the world load. We are offering it only to people like you who really love your home and want to protect it from unexpected plumbing breakdowns or worse…water damage! The Diamond Club is plumbing security for your home! What do you get for joining the Diamond Club for just $11.99 a month? Once a year, a member of our expert plumbing team (A Certified Service Technician) will give your home a thorough inspection. This means a scheduled service and FREE plumbing system adjustment including all connected equipment. The complete list includes up to 100 different items, a $200 value alone! No need to wait for appointments, when you join the Diamond Club you go to the top of the appointment book! As a member you will always go to the front of the line and to the top of our appointment book if you ever need additional plumbing service. You will also never be charged a trip charge! Find out more about our Diamond Club now! 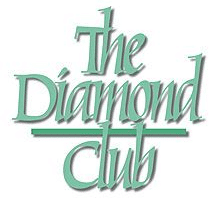 Posted in Coupons & Promotions | Comments Off on PROTECT YOUR HOME, JOIN THE DIAMOND CLUB! HACKENSACK PLUMBING REPAIR QUESTION: HOW CAN I PREVENT CLOGGED DRAINS? Set Cooking Grease Aside – Cooking grease is thick, viscous and clings to the sides of almost all types of pipes. So, instead of pouring it down your sink and hoping it clears out on its own, pour it into a coffee can and set it aside. There are a number of places where you can recycle old grease. Flush Garbage Disposals – When you use your garbage disposal, it is imperative that you flush cold water through the system at the same time. Without water to flush the food particles through the pipes, anything ground up in the disposal will become stuck and with the application of grease or other food particles can easily become a thick clog. Taking Care with Your Toilet – A toilet is not designed to flush anything that will technically fit down the hole. Even for paper products that seem to be flushable, take care in what goes into the toilet bowl. Paper towels, garbage, and wrappers should not be flushed or they are likely to cause clogs. Use Strainers – Install strainers on all of your sinks, including the ones in your bathroom. A simple strainer will catch excess bits of food, hair, and other grime that has a habit of falling down the drain and getting flushed along with the dishwater or during a shower. With care, your drains will remain clog free and rarely require the services of a snake or a Hackensack plumber. However, if the clog refuses to budge or begins to backup, know when to call BZ Dependable Plumbing & Heating! Posted in Services | Comments Off on HACKENSACK PLUMBING REPAIR QUESTION: HOW CAN I PREVENT CLOGGED DRAINS?